Pandya and Rahul were called back from the Australia tour following their controversial comments on TV show 'Koffee with Karan'. Former Australia cricketer Shane Warne on Monday (February 11) opened up about the recent controversy involving Hardik Pandya and KL Rahul, saying that everybody has an opinion and it was ridiculous for the duo to face such a severe backlash. 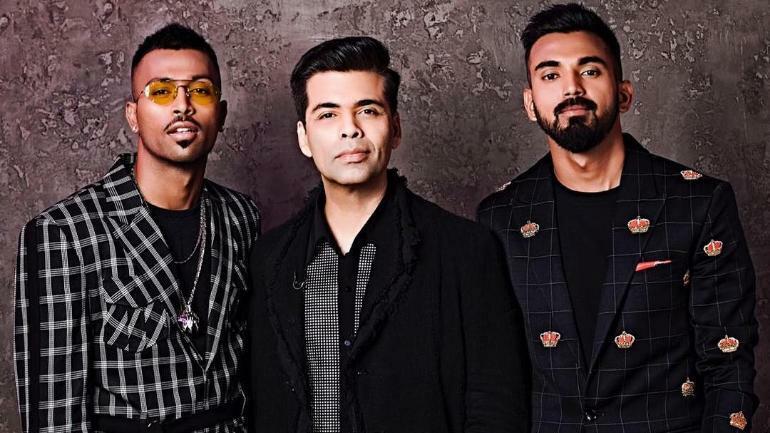 Last month, Pandya and Rahul appeared on the popular TV show ‘Koffee with Karan’ and created a storm by making "misogynistic" and "sexist" comments. After receiving flak from various quarters, the duo was suspended pending an inquiry by BCCI and called back from the Australia tour. Their suspensions were lifted on January 24 pending appointment of an ombudsman. “Good lord. As I said, it’s all about political correctness these days. If a player steps out of line, everybody has an opinion and I thought that this particular thing was ridiculous. Just let them be,” Warne said in an exclusive interview with Times of India. The legendary spinner also highlighted the importance of being real. He believes sportspersons should have the freedom to express themselves. “We live in a world that’s increasingly becoming politically correct. And what we want to see from sportspersons is them being real. We want to see their emotions, see them playing with freedom, expressing themselves. We don’t want to see them conforming. For instance, most player interviews these days go like this: Question: Well, that was a fantastic result today. How do you feel? Answer: Well, it was a great team effort. Everybody played well and did their part. I’m just trying my best and happy to contribute to the team – That’s what everyone says. Guys have to get more real,” Warne added. It is pertinent to mention here that Pandya made a stellar return to the Indian cricket team after his suspension got over. The Baroda all-rounder picked up four wickets and scored 61 runs in the three ODIs that he played in New Zealand. On the other hand, Rahul recently returned to form with a patient knock of 89 against England Lions in a four-day first-class affair.